HI, I absolutely love this stitch and want to create a cushion cover from it. I would really appreciate it if you could tell me how I would go about making a button hole within this pattern. Thanks. For a smaller button you could just do a single or double yarn over at the point you plan to have the button. For a larger button typically you bind off a few stitches, then you'd need to cast the same number back in. I believe tech knitter has good buttonhole instructions on her blog. Knittinghelp.com also has a buttonhole video and possibly Lucy Neatby has a video. Hope that helps. Thanks for your help. 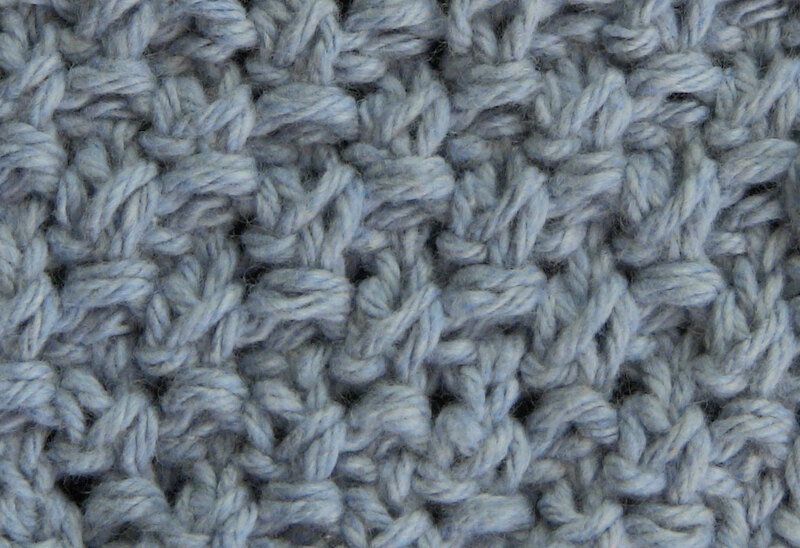 The bit that confuses me is that you are increasing stitches every other row. How do I take this into account when knitting the second row of the buttonhole? I can do them on simple patterns but this is a bit more confusing. Any guidance would be gratefully received!